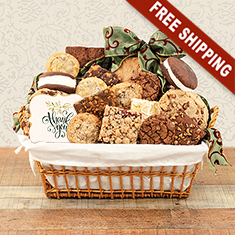 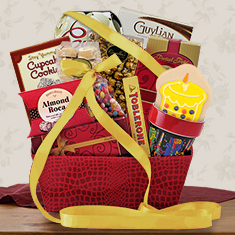 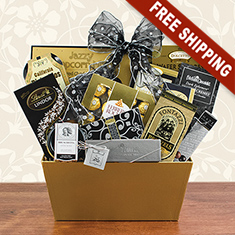 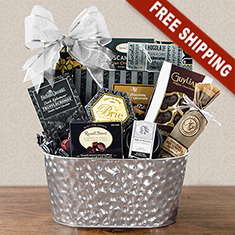 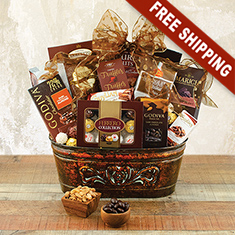 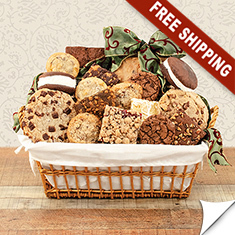 We offer something for everyone in this wide range of gourmet gift baskets, well-priced between $50 - $100. 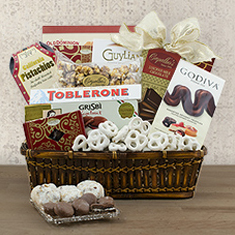 Our beautiful baskets are filled with tantalizing truffles, chocolates, fresh cheeses, cookies, crackers, jellies, even pasta and sauce. 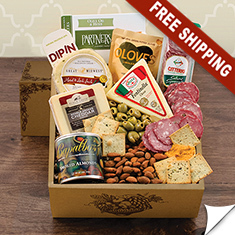 Enjoy it all!